Just wanted to say thanks, you must have the web lead deal cranked up to its highest level!!! I have had like 10 calls this week. Keep up the great work!!!! WoW! What did you do? I just googled “custom home drafting scottsdale”, and we smashed them! You guys basically helped build my business from 0 to three trucks and over a 100 routes, I can’t thank you enough. To be honest, when I came into this, I figured it might just be money down the drain, but man it is paying off really well! I really like your service, it is a good value, and really works well, very safe & consistent. And Our calls are up 30% this month. I have over 25 orders stacked up right now, from the site. You guys are amazing! Google, Bing & Yahoo teamed up to form the Schema.org initiative, which aims to create a semantic web. On the optimization for search side of things, this allows your data to be more accurately indexed and categorized. AMP pages are a new protocol developed by Google to allow the mobile web to be served ultra fast. AMP compliant pages are edge cached by Google, allowing fast load times on slower connections. The most basic budget advisable would be $300 a month. Ideal candidates for the basic budget include many small local businesses, who need to optimize in their city. Enough budget to get great results, managing & advising on everything a small to midsize business needs to be really successful in gaining new customers from the web. Companies that offer multiple products in multiple locations should consider this package. It has enough budget for the complexities of promoting multiple products. Many of our larger clients need as much work done on their accounts as possible. We have a number of these types of clients. We deliver as much as we can with our given delivery capacity. As their marketing person, my clients trust me to manage their budgets as though it was my own company, and that is why we have clients who have been with us for 5 years and more, because we spend their hours effectively and honestly. We believe we have significant advantages over other search engine companies. We have earned more reviews than almost any other SEO company in Arizona. We have done this through excellent and reliable delivery of effective white hat SEO to our clients. We make sure we use our time effectively, and manage customers budgets carefully. Its good to have a marketing partner you can trust. Ok, that is a lie, we do outsource writing to good writers, but absolutely everything else is done in house, here, in Mesa Arizona. It is also helpful dealing with a local company, as we can do meetings to discuss strategy, review analytics, take pics and videos, train staff and much more. 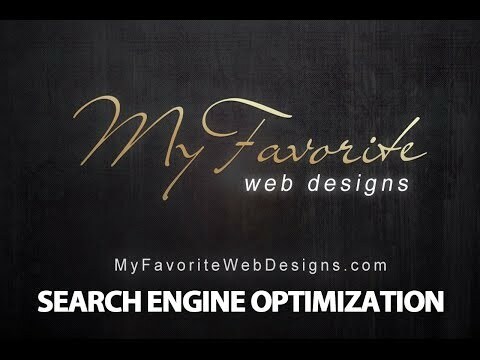 I have designed and currently manage over 150 websites, and manage SEO for another 70 or so. Many of our clients have been with us for 5 years or more and swear by our service. We’ve taken online stores and businesses from 0 to 7 figures, with proven web marketing. Our business model is very cost effective. We run our sites on WP, which means we can do the bulk of the management with less time spent, and train employees on these systems in less time as well. We are also a home based business, with no sales people, which means very low overhead. Since modern SEO focuses on quality of content, high quality photos & video are needed. While stock photos can fill some needs, long term SEO success requires high quality photo and video for creating quality content and promotional videos. We do everything from shooting to editing and distribution. 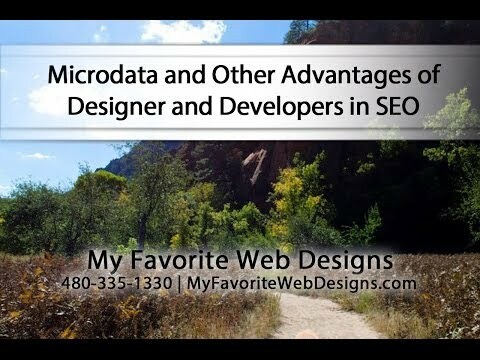 Having a Mesa Arizona SEO company that does not also do web design is not good. Much of optimizing for search now requires content creation, and a company that can tweak your website as part of your overall search campaign is vital. We design some of the most search friendly Gilbert websites on WordPress today. Typically, reputation management companies can cost $100 a month or more, and email marketing platforms can be another $100 a month. We use open source software to provide these services inexpensively. We can even set up a reviews follow up program & your newsletter for you with your monthly SEO hours. Your architect has insurance, your accountant does too. Most SEO companies still have not grasped the enormity of their responsibility, and are not properly insured, or insured just for general liability. Though We have never needed it, we carry General and Professional Liability Insurance. We will need access to your website, so you should be sure you have the login to your hosting, your website & you domain registrar. Your search consultant will also need to popularize and spruce up your social media accounts, so be sure to have those passwords handy. Photos & video of jobs, products, offices, equipment and staff. Existing brochures, presentations and other marketing pieces also give us valuable content for your search engine optimization. One of the biggest expenses at the outset of an organic search engine campaign is the writing of blogs and landing pages, getting writing done during the design phase saves time. To help begin keyword research, it is very useful to have your keyword list. For instance, a roofer might want to target foam and tile roofs in a certain geographic region. We have a form to collect up much of this data, be sure to fill out your search engine optimization questionairre here. A common question about optimization is how long it will take to get to the first page of Google search results, and how long from there it will take to get to #1. Many business have been burned by unethical or unprofessional SEO companies in the past, and want to be able to quantify their search engine optimization results. While results can often come about in as little as 2-3 months, it is important to understand the organic approach to SEO. This means quality content produced and disseminated on a regular schedule, a steady stream of good reviews & quality links. It means improving your website constantly. Our most successful clients are in it for the long haul, and look at our hours as vital ongoing work all companies must be doing in this day and age. There is also the question of the competition for any particular keyword. keywords with higher value generally require the most work to obtain. If you want to beat your competition, you need to be prepared to outwork them, and unfortunately that can sometime come down to outspending them. Of course, even companies with smaller budgets can compete if the principles are involved in content creation, and actively participating in the Arizona search engine optimization program. In summary, there is no easy or definitive answer to the question of how long it will take for what results, but we advise our clients to begin expecting results at the end of the third month of their program, and try to arrange things to work out for that. Each month, a report is sent to the client, in a spreadsheet format. It has the time card, which details each action and the time spent. There is a tab for rank report, where we track keyword position. There are also tabs for each type of account we create, social media, directories, press releases, etc… and the usernames and passwords for each. We also track with Google analytics, the best guide for success or failure. We put clients onto a billing period of either the 15th or the 30th of each month. Reporting is sent with your invoice. Your invoices can be remitted by check or credit card, and you can elect to establish automatic recurring billing for your invoices. Occasionally clients will need extra work, we would typically authorize hours first, and then invoice them on the billing for the following month. Many companies put lengths of time on their contract terms. We do not. We need clients who are as committed to their programs as we are, and we certainly would not want to make clients stay who do not want to. Upon cancellation, billing will be summarized to that point, and no further charges will be incurred. All properties and links belong to the client and remain in place. What Gets Done Each Month? We determine what rankings are feasible on a 3 month timeline and establish targets designed to go after these search engine ranking positions (SERPs). Typical beginning targets would include onsite optimization, landing pages, videos, blogs, social media setup and key local directories, though other priorities may present themselves. Much of our communication is through email. We schedule calls, and we recommend this periodically to make sure we are all coordinating well, but day to day we prefer email. Work orders we ask always be in email, to avoid any miscommunications. Most emails are returned within a few hours, but company policy is 24 hours max to reply to emails. .
We make a best effort to accommodate special requests. Programming work is billed at $75 an hour, though we do attempt to do as much work at our $40 rate as possible for SEO clients. If we are backed up and cannot get to programming work right away, we will give a timeline. Most non-programming service requests typically take max 48 hours. What Cities Do You Do SEO For? Our company is located in the East Valley, in Mesa Arizona we have done work for many different companies throughout the Mesa area, and also serve clients in Chandler, Gilbert, Queen Creek, Tempe, Scottsdale and many other cities throughout AZ. We particularly focus our marketing on clients in the East Valley, as we like being able to meet with our clients as often as we need to. Meeting with business owners allows us opportunities to do things that assist the SEO program, such as taking photographs and videos in person, doing virtual tours through Google trusted photographer program, and sitting with clients to strategize the most effective web marketing techniques for their particular product mix. One last thing I will say is Google love to update these documents, so check back at least annually. Alltop is a good aggregator for SEO headlines – http://seo.alltop.com/. Since the search world is changing with lightning speed, it is kind of essential to read the more significant headlines each week, though it may take a while before you can distinguish the Gold from the tired listicles. Do You Automate Link Building? They get rankings for for several days, sometimes even weeks. The penguin update significantly reduced the effectiveness of spun content, even well spun content, and we no longer waste time on this. Instead, we focus on including more rich media in the syndicated copy, create high value related media on authority sites, and then create mashups with links attributing the source. As a result of the Google Panda update, we also now focus more on social media. So many changes! I love it. We now support KML files, All types of microdata including schemas from schema.org. We also now support G+, focus more on youtube optimization and SEO video creation, as well as image and video sitemaps. We additionally revised our formula for creating landing pages and internal linking to account for the reduced effectiveness of nofollow tags and to allow for better internal related linking, as well as dozens of other small tweaks.